Yesterday, the Wealth Options office took part in Concern’s “Bake Party”. This event helps fundraise to highlight awareness of International Women’s Day. Within the office there were a few Nigellas and Jamie’s who were hungry to show off their culinary skills ... And there were most certainly a few more than willing tasters on hand who thoroughly enjoyed sampling the tasty treats. 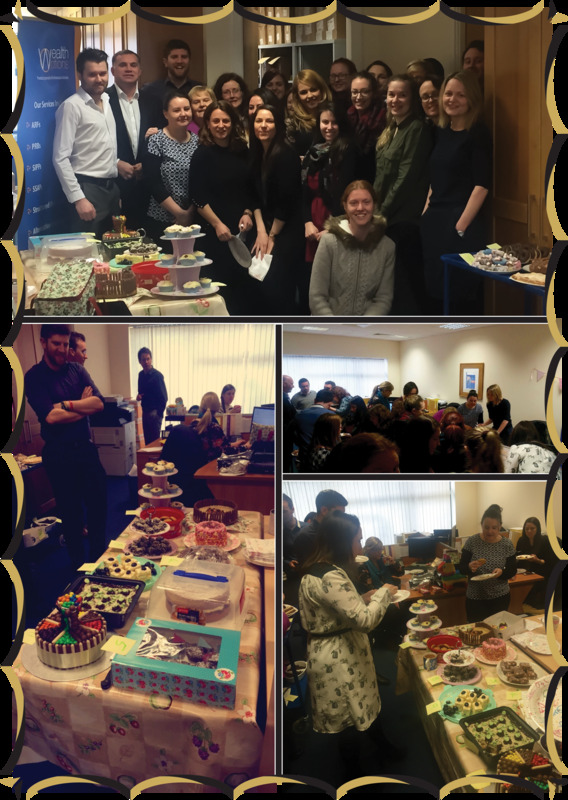 We were astonished at the secret talents our employees demonstrated, showing exceptional levels of creativity in the food that was made – A few look to be great contenders for the next Great Irish Bake Off! This year for International Women’s Day, Concern is focusing on the crisis in Syria, which now spans half a decade and the humanitarian impact has been massive with 11 million people displaced from their homes. Concern are providing emergency assistance such as food, shelter and clean water to Syrian women and their families both inside Syria and in neighbouring Lebanon and Turkey. Concern are also working to address the unique consequences of conflict and displacement for women, by providing them with educational and protection supports. The event was thoroughly enjoyed by all, brightening up the traditional ‘nine to five’, all the while raising money for an extremely worthy cause. We would like to take this opportunity to thank everyone who took part and made the event such a success, and to wish Concern the very best of luck as they continue with their fundraising.